Blink-182 is an American rock band formed in Poway, California in 1992. Founded by guitarist and vocalist Tom DeLonge, bassist and vocalist Mark Hoppus and drummer Scott Raynor, the band emerged from the Southern California punk scene of the early 1990s and first gained notoriety for high-energy live shows and irreverent lyrical toilet humor. 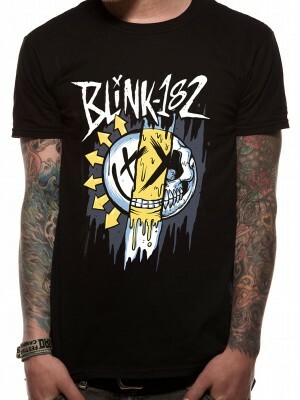 BLINK 182 T-Shirts which we offer at Plain-t-shirts.co.uk forms part of our movie, games and music official merchandise range. 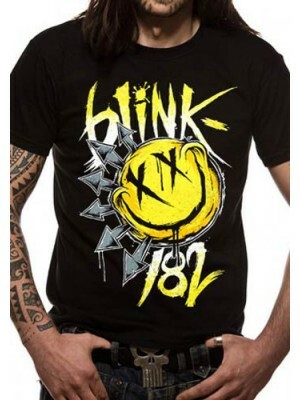 BLINK 182 range we offer fast delivery all over UK/EU BLINK 182 - BIG SMILE (UNISEX) which we offer which you can have as s..
BLINK 182 T-Shirts which we offer at Plain-t-shirts.co.uk forms part of our movie, games and music official merchandise range. 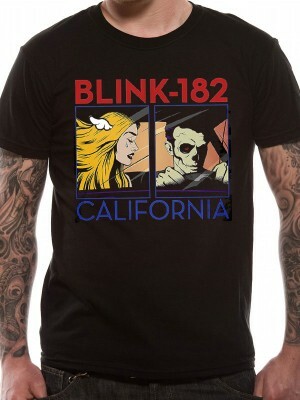 BLINK 182 range we offer fast delivery all over UK/EU BLINK 182 - CALIFORNIA ALBUM (UNISEX which we offer which you can hav..
BLINK 182 T-Shirts which we offer at Plain-t-shirts.co.uk forms part of our movie, games and music official merchandise range. 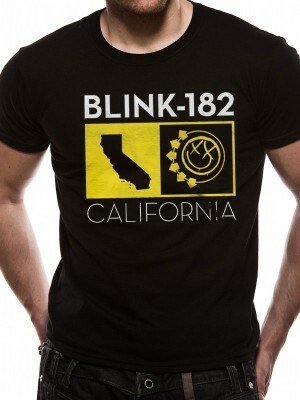 BLINK 182 range we offer fast delivery all over UK/EU BLINK 182 - CALIFORNIA STATE (UNISEX) which we offer which you can ha..
BLINK 182 T-Shirts which we offer at Plain-t-shirts.co.uk forms part of our movie, games and music official merchandise range. BLINK 182 range we offer fast delivery all over UK/EU BLINK 182 - MIXED UP (UNISEX) which we offer which you can have as sh.. The band currently consists of bassist and vocalist Mark Hoppus, drummer Travis Barker, and guitarist and vocalist Matt Skiba.